Conquest of Elysium 3 is… | SPACE-BIFF! A picture of Conquest of Elysium 3. Look at all the scary data. What does it mean? Does anyone know? I’ve been playing and talking a lot about Conquest of Elysium 3 from Illwinter Game Design, the two-man band responsible for Dominions 3. My review? It’s great: simple to learn, plenty of depth, and lots of options for customization so you can play the game you’re in the mood for. However, it hasn’t been widely reviewed, and lots of folks seem confused about what it is—one review so completely that I couldn’t help but poke some fun at it. I understand this response—its visual style requires some acclimatizing, and it looks like it could be one of those impenetrable stats-based games that you once bought as a kid because you heard you could do anything but then it turned out you couldn’t even figure out how to build a cavalry regiment. Have no fear! CoE3 is not one of those games. But rather than define what it isn’t, I’ve made a handy list of four things that sum up what Conquest of Elysium 3 is all about. If that doesn’t interest you, you can make like an IGN reader and skip to the end for the final score. The map. Your armies are red, enemy armies are other colors, such as grey for neutrals. On the right you can see your resources, and how much monthly income you're getting of each type. As many people as there are who are attracted by selling points like these, there are just as many who are terrified. I’m the sort of person who likes a game to be expansive and provide plenty of options, but not to go overboard with the complexity. Which is why CoE3 has been taking up so much of my time. On your turn you’ll mostly be moving armies around, managing a simple economy to maybe buy a squad of units, and watching automated battles between your forces and any enemies you encounter. Success is based on how well you perform very basic actions, not how well you can read a spreadsheet. In fact, at first I thought CoE3 erred a bit more on the side of simplicity than of complexity. The battles are mostly hands-off, with units trading blows and deciding which spell to cast on their own (though you can tell your spellcasters which spells they should take into battle). None of the actions are complicated so long as you’re willing to look up some keyboard shortcuts. And success can often be based as much on luck as on skill, since any buildings you need for resources or magic are found on the map rather than built—and while sometimes you’ll find that much-needed Ancient Forest right away, other times it will be on the far coast. But then CoE3 clicks. It’s simple, not simplistic. 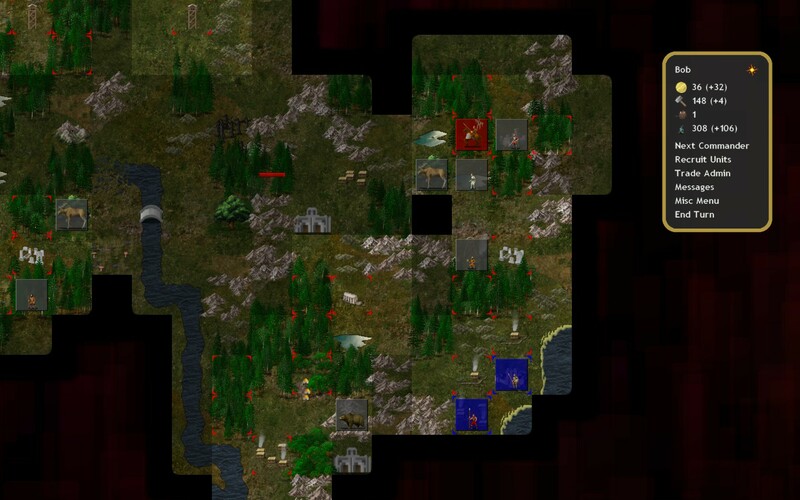 There’s plenty of depth to be found in the composition and number and placement of your armies, and the many ways you can choose to advance your kingdoms or conduct trade or manage wars on multiple fronts. It doesn’t bother with distracting frills, letting you focus on the actual strategy. Bakemono goblins face off against demons. Adventure time! At the core of CoE3 are its 17 unique classes—and when I say unique, I mean unique in a uniquer sense than most strategy games mean when they say “unique.” Take a look at my experiences playing as the halfling Hoburg Burgmeister and the demon-summoning Demonologist to see what I mean. Not only do different factions provide different protagonists and units, they often require different resources, goals, and mechanics. A Necromancer has very different needs (the severed left hands of thieves) from an Enchanter (massive piles of gold and iron), who in turn looks downright ordinary next to the peculiar breeding of the Dwarf Queen (really, she’s freaky). Even the more ordinary classes are distinct: a Baron, Senator, or Barbarian all play quite differently from one another, even if they’re boring humans. See, these classes aren’t merely unique factions. They’re actual characters, each of whom happens to be surrounded by a different society. You aren’t leading a faceless nation to victory; you’re playing as a power-grubbing Warlock or a vengeful High Cultist, and your enemy might be a self-righteous Druid or a slimy cave-dwelling Pale One. Some increase their power through sacrifices, while others levy massive armies or build mechanical constructs. Just about the only thing they have in common is a pathological need to conquer Elysium senseless. Foras serves a Demonologist today; tomorrow he just might try his hand at being a God. I should probably say that CoE3 is not officially a prequel to Dom3, though it’s easy to think of as one. In Dominions 3, you play as a “pretender” god, trying to work up enough power to become the actual God of the entire world. Conquest of Elysium 3 feels a lot like the story of how a wizard or jabberwocky came to be in charge of a nation in the first place. At any rate, no discussion of CoE3 would be complete without talking a bit about how it compares to Dom3. Frankly, any comparison falls apart right out of the gate. Both use sprite graphics and have a lot of variety and depth and lore, but the comparison basically ends there. Dom3 focused on play-by-email multiplayer; CoE3 is mostly a single-player game. Even the turn structure is different, and favors single-player games. Where in Dom3 turns were simultaneous (“We-Go,” which made games go a bit faster, since everyone was going at once), CoE3’s turns are separated (“I-Go-You-Go”). As this is the case, the game does not (currently) have PBEM support. Multiplayer is possible, but it will be of the hotseat or both-players online variety. I don’t feel this detracts from the game. While CoE3 may not have the guaranteed longevity that Dom3 had for me and my group of friends, it isn’t trying to be Dom3—and as a single-player game, it’s far superior. Each faction has their own AI and plays competently, and it’s much easier to learn and invest time in. 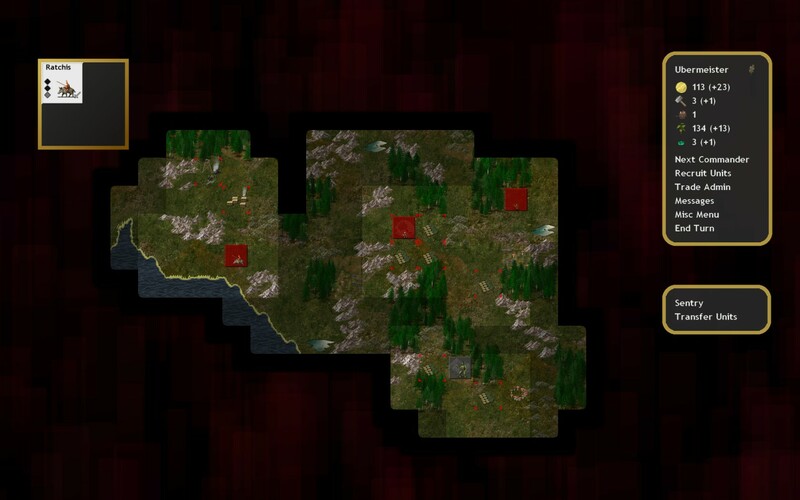 Besides, if you were hoping for Dominions 4, might I recommend some of the excellent mods for Dom3? A few lone Hoburgs try to survive winter, alone and hunted by dispossessed spirits. I believe that at its most fundamental level, CoE3 is a puzzle game. Of course, any strategy game can be seen a puzzle game if you squint hard enough. But the moment CoE3 clicked for me was when I began to think of it in those terms—as though it were a much-expanded game of chess. Your goal is to clear the map of enemy commanders and citadels (where they can recruit from). The instant they don’t have one of those, you win. The enemy is trying to deprive you of the same, and if you present them with an opening they will be ruthless in exploiting it. You usually begin with a single citadel, a farm or two, your character plus an apprentice, and some troops. From there, you need to figure out the best way to assert dominance over your enemies. It’s rarely easy. There are all sorts of factors in place to slow you down. Huge monsters you have no hope of beating (for the time being) wander the land. Gold and iron are in short supply.  Even a few roving deer will attack a city you left unprotected. And that doesn’t even begin to touch on the mean tricks your opponents will be playing on you the whole time. There’s never a predetermined route to victory. This is a dynamic puzzle, one brimming with thousands of possibilities growing from dozens of pieces. When I play, my mind is always filled with potential ways to combine those pieces, methods by which to undermine my enemy with the few resources provided, and crazy half-formed plots for the future. It’s just as easy to set up a game that will take an hour as it is to set up one that could consume an afternoon, and both will be compelling and stimulating. If there’s a downside, it’s that all these moving parts do sometimes lead to scenarios in which you’ll never even see your opponent before they’re wiped out by boars, and others that will see your nascent kingdom fail to thrive. But if that’s the downside, I can cope. I fear most people won’t let themselves take a chance on Conquest of Elysium 3. It would be a shame, as it’s an expansive and fascinating game, with more potential and size than a dozen other indie strategy games. And the same reasons that would drive most people away—the threat of unit statistics or a mandatory-reading manual—are not even half as intimidating as they first appear. Posted on March 14, 2012, in Indie, Reviews and tagged Conquest of Elysium 3, Illwinter Game Design, Indie. Bookmark the permalink. 7 Comments. Good review. This is one I’ve been on the fence about, but everything I’ve read has been really positive. I think I may pick it up sometime soon. Sounds intriguing. I especially like the idea of being able to set up a game for the amount of time I want it to take. Seems like a really nice feature. It is too bad that it lacks a really good multi-player element. Dom3 has been a great multi-player game for my friends and me. Basically CoE3 is a manageable, large squad-based version of Dom3 that stays fresh and doesn’t stagnate in the mid to late game. Delving through the different races with either random or simply varied construct or summon-type spells keeps things fresh and gives a lot of replayability and excitement. There are often small and large rewards requiring more or less time to achieve. Some parts of CoE3, luckily not critical aspects, do have frustrating issues. 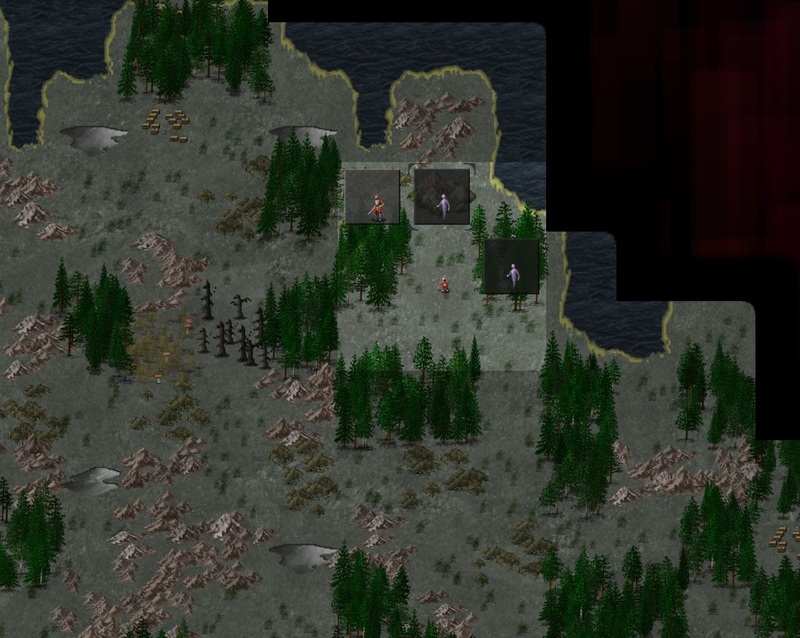 The Map Editor is attrocious. Anyone wanting to make a map will need to scroll through hundreds of tiles repeatedly, making all but the most devoted mapmaker likely to simply give up. Perhaps there’s a mod that makes this easier? But for me so far it’s a nightmare. 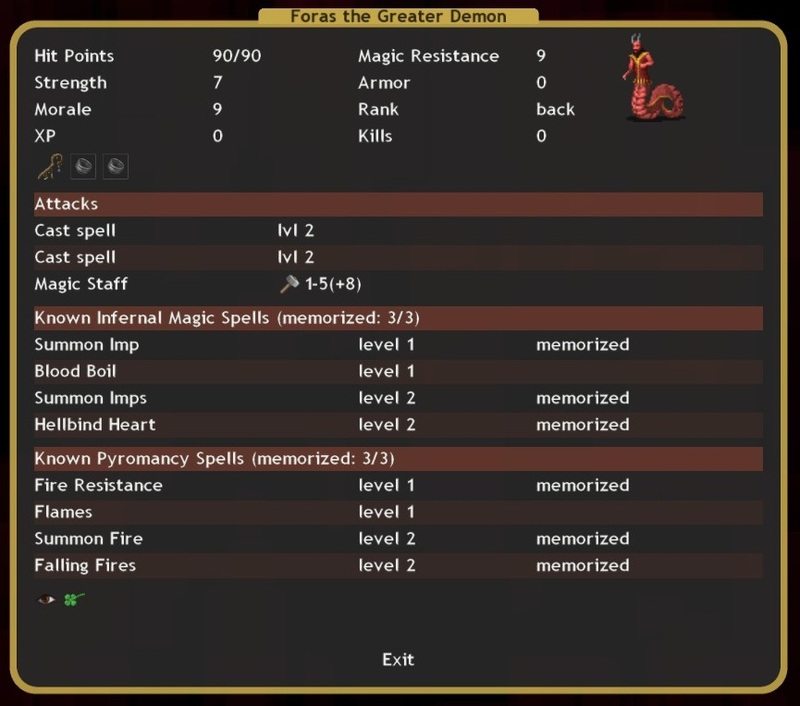 CoE3 also has an awful menu system. Save and Quit will be hard for new people to find, and are sandwiched in seemingly at random with a host of other oddly positioned menu choices. There is no Load option once you are in a game so any attempt to reload a save requires Quitting out of the game entirely. Luckily this isn’t a game that requires really any sort of load time, so this process is at least quick. But if you want to experiment with Saving before random summons (as I have done quite often) you’ll find yourself restarting many times. Bottomline: PLAY THIS GAME unless you’re a purely graphics person who doesn’t care about strategy. When you’re finally exhausted of CoE3 then go play Dom3. Pingback: Can’t Get Enough Human Sacrifices « SPACE-BIFF! Pingback: What’s Up (and Down) with TowerClimb « SPACE-BIFF! Pingback: Warlock: Master of the Review « SPACE-BIFF!